We have all read the dramatic accounts from natural disasters or fires or medical emergencies of heroes who save someone from danger or even death. Such men and women are remarkable for their courage under pressure and their willingness to take risks for the sake of another, even when that person may be a stranger. I imagine that those who are rescued in such fashion find themselves grateful and renewed in their determination to live life. But there are other, less dramatic ways that people are saved. I recently received a moving letter from a friend who shared his deep love for his wife. In the letter, he spoke of the ways in which she has drawn him out of, and beyond, himself. In a very profound way, he is convinced that her love has saved him. This kind of saving does not have the adrenaline pumping action of emergency rescues, but in many ways its effects are longer lasting. Being saved by a hero might cause me to make changes in my life, being saved by ongoing love changes my heart and the world in which I dwell. In the readings for the fourth Sunday of Easter, we learn that the salvation offered by Jesus takes both the dramatic rescue form and that of an ongoing transformation in a relationship of love. In the letter of Peter, we hear of the astonishing nature of Jesus’ gift to us. The letter addresses a later generation of Christians who struggle to be faithful in the face of persecution. They need strength to endure in faith, and Peter reminds them that Jesus, innocent though he was, risked and gave all to deliver us from calamity. His words liken Jesus to the Suffering Servant of the Lord from Isaiah and the Psalms. And Peter marvels at Jesus’ ability to endure revilement and abuse. 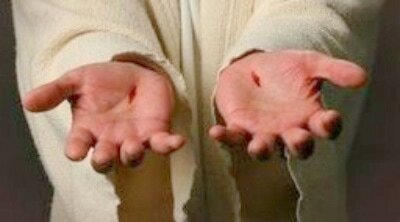 Peter also marvels that the Lord has done this to deliver us, the guilty, from the just effects of our sins: by his wounds we have been healed. The passage from the Gospel of John points less to the drama of our rescue and more to the way in which Jesus’ love for us offers transformation. The passage falls in a section of the Gospel that follows the story of the man born blind. Immediately after these verses, Jesus will speak of himself as the shepherd who lays down his life for the sheep. Part of the context in this passage is Jesus’ sharp criticism of his opponents who claim authority but mislead those entrusted to their care. More important than the criticism is Jesus’ assertion of intimate relationship with his disciples. As the Good Shepherd, Jesus knows his flock and they know his voice. They recognize its authenticity and respond in faithfulness. Jesus’ ongoing love for them transforms, offering abundant life. In the first reading, we continue to hear about the events of Pentecost, and here too we learn of the ongoing effect of relationship with Jesus. At the end of Peter’s address to the crowd, the crowd responds to the power of his words by asking the disciples what they are to do. Peter responds by summoning them to baptism and repentance. From the Lord, they will receive the gift of the Spirit. While Peter’s speech has spoken of the dramatic events of salvation, of Jesus’ sacrificial death for our sake, here he speaks of ongoing relationship. The Lord who climbed Calvary reigns now exalted in the kingdom. He is not a figure of the past, but the Lord who continues to offer his presence through the Spirit, who continues to offer the benefits of divine mercy and forgiveness.